Arctic Grey, Inc. is an award-winning creative firm, particularly noted for their expertise in website design. They pay great attention to detail -- in fact, each client will be assigned to their own project manager (dedicated to that specific project, to ensure that your firm is a priority). All of these project managers boast better than a decade worth of industry experience. 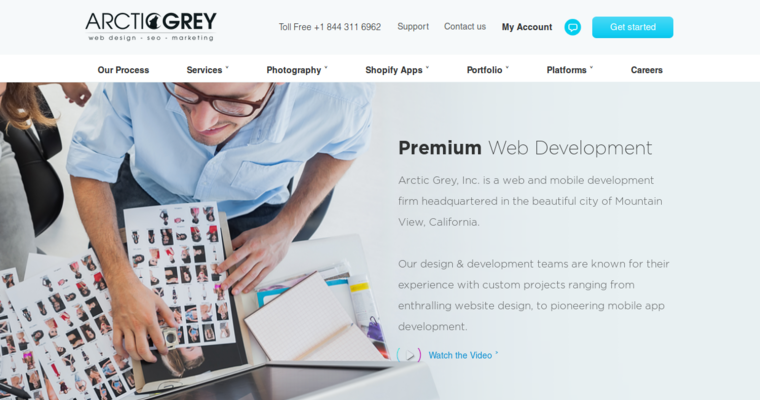 Arctic Grey's talented developers and designers are more than capable of creating beautifully-crafted and user-friendly websites, tailored to the client's specific needs. The experienced team of professionals at Arctic Grey check in with their clients no less than every two days to ensure that all projects run as smoothly as possible. Always helpful through the entire process, Arctic Grey will continue to support their clients for two weeks after the launch of their website, should any unforeseen circumstances arise. By employing tried-and-true marketing and SEO strategies, Arctic Grey ensures that their clients reach the audiences they need to thrive.